Quaint Hotels on the Island of Gozo! Quaint Boutique Hotels is a new group of hotels offering a unique experience to holiday makers that wish to live and enjoy the local lifestyle. Our concept revolves around tradition, excellent guest service and individually styled and designed rooms and suites, The hotels are ideal for holiday makers seeking adventure and discovering the islands, families, couples seeking a romantic stay away from it all, as well as solo travellers. QUAINT BOUTIQUE HOTEL SANNAT now open for bookings! This boutique hotel comprises of 13 rooms and is to be expanded in the near future. It is located right beside the Sannat Parish Church and complemented by Beppe’s restaurant. The property is surrounded by enchanting landscapes such as Ta’ Ċenċ Cliffs. Make your reservation now by emailing us at reservations@quainthotels.com or calling 22108500. A strategic location in the heart of or close to the picturesque and character ‘pjazzas’ or village square. Quaint Boutique Hotels Gozo in Nadur and Xewkija are the first in a group of elegant and characteristic hotels, strategically located in the squares of these charming villages on the island of Gozo. We currently have two hotels ideally located in the villages of Nadur and Xewkija. 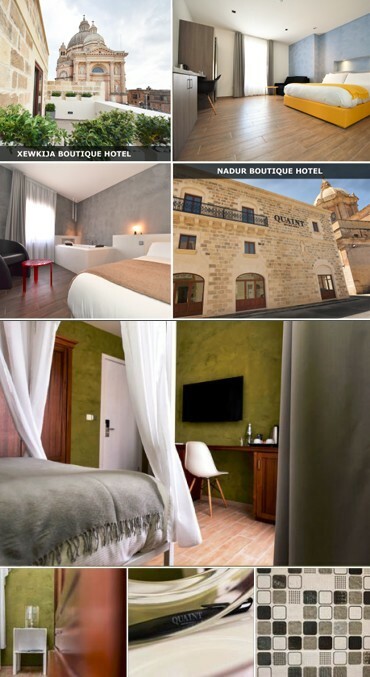 The Quaint Hotel Nadur is built on a property that used to be a hotel in the early 1900s, probably one of the first hotels in Gozo thus providing a strong historical element to one’s stay. This Boutique hotel has 12 highly designed rooms, including 3 penthouses. These offer a unique and cosy accommodation . Only a stone’s throw away from all amenities, including cafe’s, restaurants and a few old traditional bakeries. It is highly recommended to visit one of the village band and football clubs, the traditional ‘bocci’ club, or bowls arena, where one can enjoy the locals playing this popular and old game. The Quaint Hotel Xewkija is located in the village square next to an imposing church and surrounded by different local shops including local clubs offering things to eat, a stationary, pharmacy, mini market etc. This Boutique hotel has 10 highly designed rooms, including 2 penthouses. 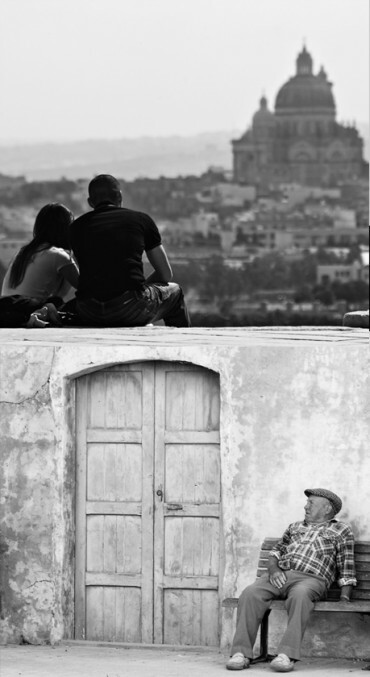 The village of Nadur is a true traditional Gozitan village located on a high hill to the east of the island of Gozo. There are interesting things to see in this traditional village including high belvedere vantage points providing some of the best vistas over land and sea. From these points the island and comino and malta can clearly bee see. 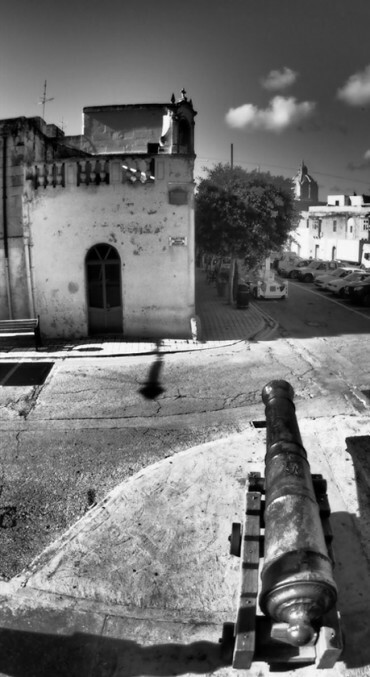 The village can be reached directly from the harbour of Mġarr or from ir-Rabat . Ix-Xewkija, is a village which lies half way between Mġarr Harbour and ir-Rabat, is the oldest village in Gozo and is best known for its awesome rotunda, the circular church at the centre of the village. Gozo’s largest church, its dome is a distinctive landmark visible across much of the island. Ta’ Sannat village lies in the south of the island of Gozo. And is best known for the Ta’ Ċenċ plateau on the edge of the village and its spectacular Ta’ Ċenċ cliffs, the highest cliffs in Gozo. The island of gozo is the smaller sister to the island of Malta. Although close by the island of gozo offers the visitor a truly unique experience. The meaning of Gozo is “joy”. A feeling you will encounter once you visit this relaxed little island. Less hectic then Malta this island has retained the quaint way of island life. Gozo also still has a rural way of life and is much more tranquil than Malta . There are small villages dotted around the island many of which are on hills hence providing wide vistas from the high vantage points. The island provides unique scenery, coastlines to explore and country trails to trek. The heart of small villages is usually centred around a Baroque churches surrounded by traditional town houses and farmhouses that dot the rural landscape. Gozo possesses 7000 years of culture with numerous ancient historical and mytical sites to vsit. The island is said to have been the Isle of Calypso from Homer’s Odyssey and possesses temples older than the pyramids found in Egypt.